The year is 2031 and following the defeat of the Robotech Masters by Earth's Robotech Force headed by Dana Sterling's 15th Tactical squad, the planet faces a new threat! The spread of the Protoculture spores across vast swathes of the Earth's surface has not gone unnoticed. The mysterious alien race known as the Invid - arch enemies of the Robotech Masters - launch a full scale invasion of Earth. The remaining inhabitants of the planet must struggle to survive against the new alien threat. With only a rag-tag collection of guerilla fighters to defend them, the survivors can only pray for the return of the long forgotten Robotech Expeditionary Force (REF) to save them from total annihilation. 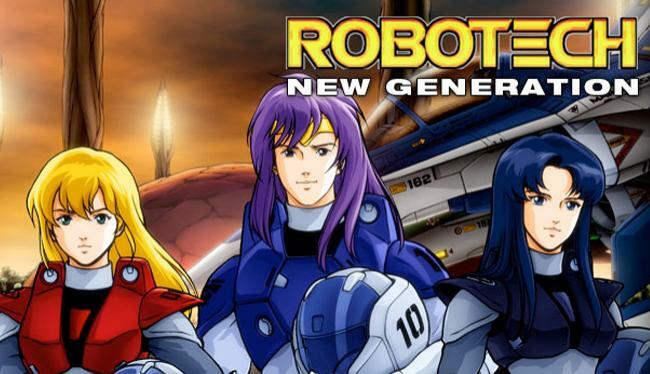 Robotech: The New Generation is the third part of the Robotech television series.